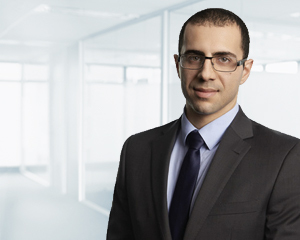 As a member of the accounting team in Melbourne, Nicholas Antoni specialises in self managed super fund accounting, administration and taxation, assisting clients in both Adelaide and Melbourne with the establishment, administration and compliance of their SMSF. On a day-to-day basis, Nicholas is responsible for managing a team that proactively and efficiently handles the ongoing accounting and administration requirements of his clients’ SMSFs throughout the year. Nicholas completes clients’ financial statements and tax return and organises the independent audit at year-end, ensuring the work is of the highest standard and the utmost importance is placed on accuracy. Nicholas is a personal point of contact for his clients to ensure high levels of service. Nicholas believes that Dixon Advisory clients receive a high quality service which covers all areas of self managed super funds. “We strive to build strong relationships with our clients and educate them on legislative changes and complex superannuation topics,” he says. Nicholas has a Bachelor of Accounting and Bachelor of Finance from La Trobe University.